According to MayoClinic.com, nasal congestion or "stuffy nose" occurs when nasal tissues and blood vessels become swollen with excess fluid or mucus. Congestion can be a symptom associated with the common cold or allergies. 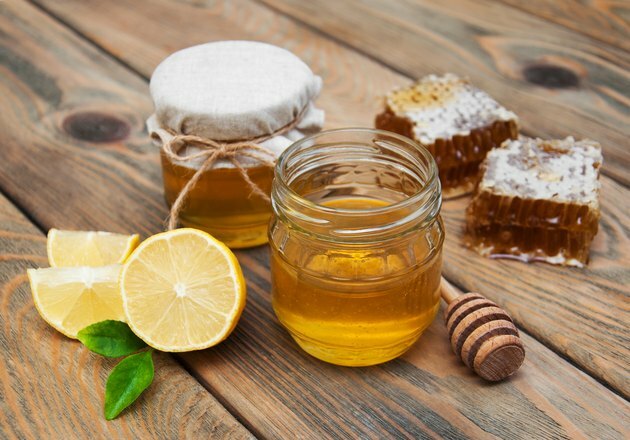 One home remedy that may offer relief from congestion is the use of honey. Be sure to speak to your doctor for more information on how to use honey for the relief of nasal congestion. As MayoClinic.com suggests, nasal congestion can be caused by a cold, influenza, allergies to dust or pollen, or as a response to irritants such as tobacco smoke. Chronic conditions of nasal congestion may occur in some patients for no reason, often referred to as nonallergic rhinitis. Nasal congestion is usually an annoyance for adults and older children but may be serious in infants who have a hard time breathing as a result, according to MayoClinic.com. According to the University of Rochester, honey may be used for the treatment or relief of nasal congestion. In addition to drinking plenty of fluids per day, adding honey and/or lemon to hot tea can be used to fight off nasal congestion symptoms. As the University suggests, drink at least six 8-oz. glasses of fluid per day for best results. According to MayoClinic.com, drinking tea or warm lemon water mixed with honey is a time-honored way to soothe a sore throat. Honey may also be an effective cough suppressant as well, according to the site. Coughing and sore throat can be symptoms associated with congestion due to a buildup of mucus in breathing pathways. Honey is available over-the-counter and therefore does not need to be prescribed by a doctor. You should seek medical care from your doctor if you also experience a fever greater than 101 degrees in addition to nasal congestion, according to the University of Rochester. You should also speak to a doctor if the congestion does not clear up within two to three weeks or if your sinuses become tender or painful. Some patients may experience an allergy with honey, especially in the case of bee pollen sensitivity. The use of honey for the relief of nasal congestion should only be used after first seeking medical treatment or the recommendation of a doctor. Honey should not be used as a form of medical treatment for any chronic disease or condition.